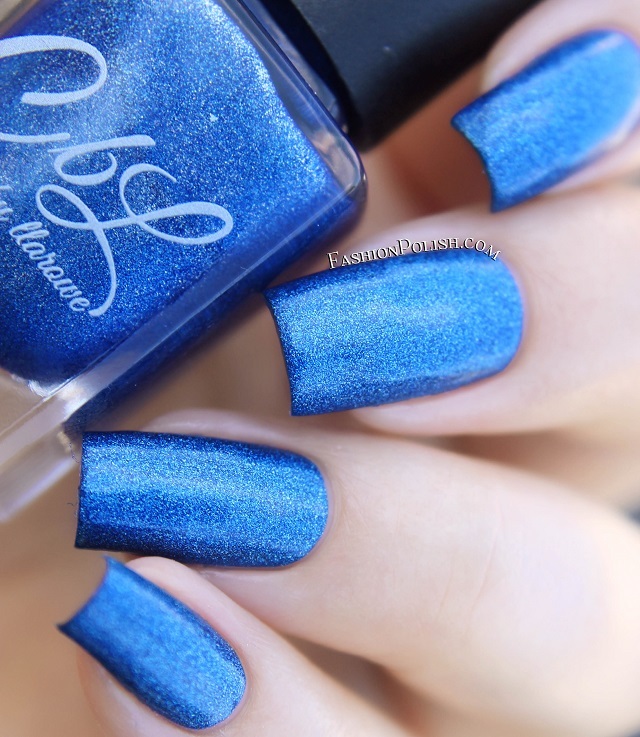 Fashion Polish: Colors by Llarowe Fall 2015 collection swatches and review! Colors by Llarowe Fall 2015 collection swatches and review! I have swatches of the Colors by Llarowe collection today. This is a rather reasonable sized collection compared to the usual releases and the narrowing down job was amazing IMO because they are all pretty awesome! Formula and application were great on the entire collection, I used 2 coats and no topcoat in all of my photos. I had a silk wrap when I swatched these and experienced a little bit of staining on that specific wrapped nail with a few of them (marked with an *) but nothing on the others so although it's worth mentioning, I wouldn't call it an issue. So let's get started, first pic is in direct sunlight and second in the shade. 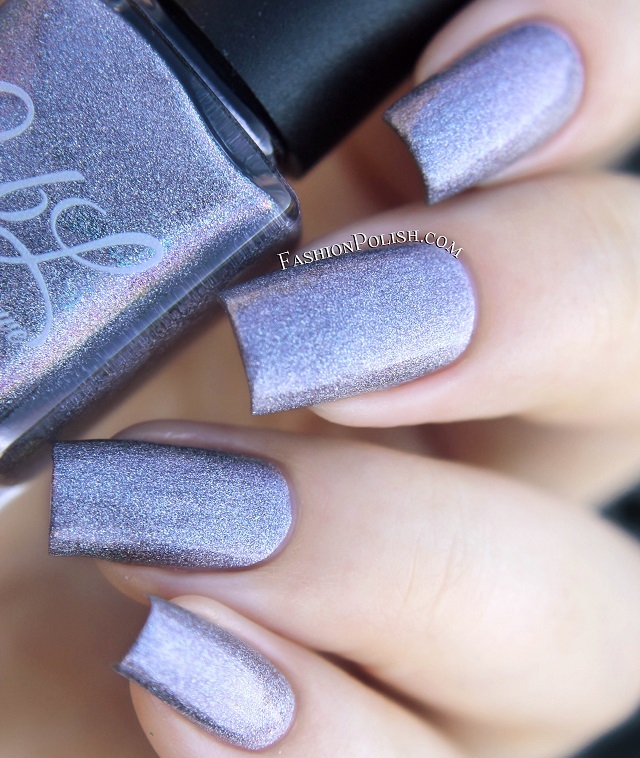 Memories of You is a silver taupe scattered holo with a lavender undertone and red shimmers. 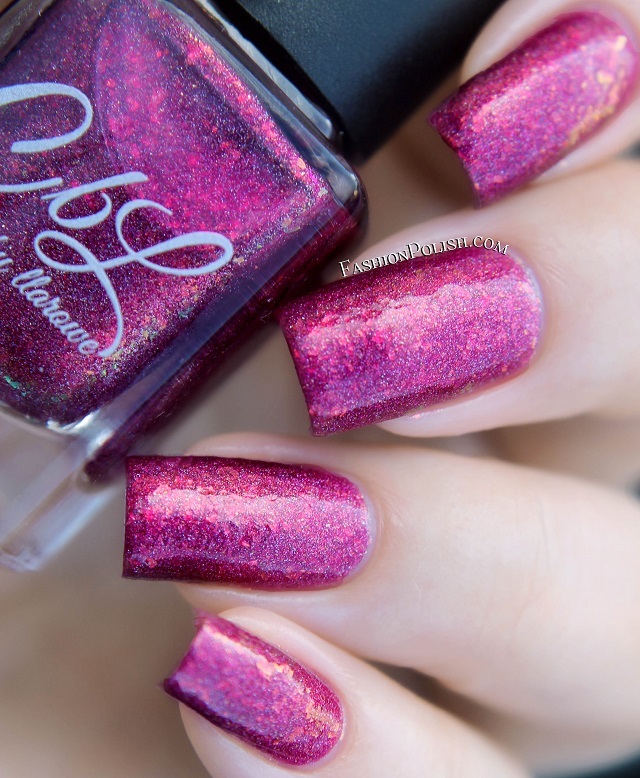 Rare Orchid* is a medium orchid pink scattered holo a touch of shimmer. Rain is a bright sea blue scattered holo. Last Harvest is a medium grass green holo. Lake of the Pines* is a deep pine green with a blue tint. Wine & Roses* is a deep wine red linear holo. The Fallen is a deep copper red jelly base with scattered holo with color shifting flakes and intense copper to red shimmer. She's My Cherry Pie is a deep plum brown intense linear holo with a mix of pink and red shimmers. Aubergine Dreams* is a deep aubergine linear holo. Mocha Grande* is a deep chocolate brown intense linear holo with copper, gold and red shimmers. The Colors by Llarowe Fall 2015 collection is launching Tuesday Sept. 15th on llarowe.com. Individual shades retail for $12 and the full set $110.